In The Case-book of Sherlock Holmes, you can read the final twelve stories that Arthur Conan Doyle wrote about his brilliant detective. It is perhaps the most unusual and certainly the darkest collection that he penned. Treachery, mutilation, and the terrible consequences of infidelity are just some of the themes explored in this collection, along with atmospheric touches of the gothic involving a blood-sucking vampire, crypts at midnight, and strange bones in a furnace. 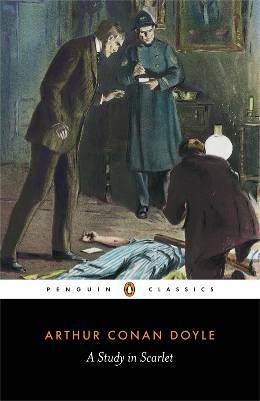 I decided to start my rereading of the Holmes canon (before I read A Study in Scarlet a few weeks back) with the collection I’m least familiar: The Case-Book of Sherlock Holmes. There might be good reason for my lack of familiarity. While I checked out ALL THE HOLMES from the public library when I was about ten, my rereads have been based on cheap editions (like Dover’s $1 paperbacks) or “collectors” editions (like the gilt-edged Franklin Mint books). Both of these rely on public domain to keep costs down. In the US, the copyright for stories included in The Case-Book of Sherlock Holmes does not end until 2016-2023, nearly 100 years after their initial publication. Ebooks has relieved this problem somewhat. There have been a couple free/cheap licensed-by-the-estate complete Holmes editions online, discovered with a little searching. In all, yes, an odd assortment of tales. The tones vary. The POVs vary. In a couple cases, there is some question as to whether Doyle is the author of a specific story. Though not a Doyle scholar, I offer this view: Doyle had been writing Holmes stories on and off for 40 years (while writing novels and a slew of short stories). Wouldn’t you expect an author to maybe play around with the characters and the story at year 30+? Below are a few notes I took while reading. Your mileage may vary. Why did I choose to read this book? I’m rereading Holmes and decided to start with the stories I’m least familiar with. Craft Lessons: Doyle excels at crisp, untagged dialogue. Conversations aren’t entirely reactive. Holmes drives them. Updated! Pick any media (or non-media item) released more than 5 years ago. Remember to keep it book-related! 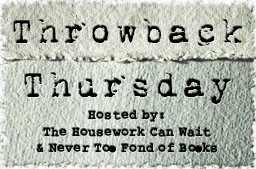 Checkout today’s Throwback Thursday link up for details on the TT giveaway! This is another multiple bird post, A Study in Scarlet being the 7th book I’ve read this year. I read the original and skimmed a “remastered” version by Leo Zanav. Also, I realize. Holmes…again. It’s been a very long time since I read A Study in Scarlet. I had forgotten that it starts slow. There’s a lot of Watson background. It’s also a ways into the narrative before we really see Holmes at work. But, if I were reading this for the very first time, especially if I didn’t know who Sherlock Holmes was, his off-stage introduction would be very intriguing. The “remastered” version cuts pretty much to the chase, leaving Watson firmly in the background. I’m not going to cast too many judgements of this retelling for that, most of the language in the story is Doyle’s, though I am going to roll my eyes at the perceived need to quicken it up for a modern audience. Doyle’s original is pretty compelling even without Sherlock on stage all the time. Doyle’s sort of left-field switch to an American west flash-back (curtailed in the retelling) serves a purpose, to firmly set up the killer’s motives. But again, every Holmes story has been told and retold in so many ways that it’s difficult to be overly upset about it if you’re accepting of most adaptations. The thing that did bug me is the sanitation of a few things in the “remastered” version. The Criterion is no longer a bar, but a bookstore. The subjects of the postmortem bruising experiments are dead animals when I’m pretty sure that Doyle meant to be rather sensational in suggesting that they were human bodies. There is of course some changing of tone concerning Mormonism and the “Avenging Angels” but far less than some of the reviews of the rewritten version would have you believe. In all, these changes just seem pointless. Read the original, it’s better. Speaking of adaptations, I was also surprised at how many elements of the originals that the current BBC Sherlock incorporates into its episodes. I’d forgotten the importance of the cabby and the pills in this story. Both elements are used in a pretty creative way by the show’s premier episode “A Study in Pink.” I’ll leave you with the iconic moment of Holmes and Watson meeting, 21st century style. Why did choose to read this book? I do not tire of Sherlock Holmes. Craft Lessons: Is it really necessary to start with a bang? Hinting at a character’s character is maybe more interesting than purely showing. If you’ve visited this blog at all, it should come as no surprise that I am a fan of most things Sherlock Holmes. Arthur Conan Doyle’s Sherlock Holmes stories are the first literature I remember utterly devouring. During one summer in the 80s, I went through pretty much the entire canon. Doubtless, my interest in Holmes was probably sparked by two things. The first, the Granada TV series featuring Jeremy Brett as Sherlock Holmes which debuted in 1984. (Which could be the subject of a Throwback Thursday too, but I’m probably going to talk about that series a lot as I reread the canon this year.) The second, Young Sherlock Holmes. I didn’t see this movie at the theaters, but caught it quickly when it was released on cable. As with much Sherlock Holmes pastiche, you have to turn a slightly blind eye to canon and just sort of go with it. 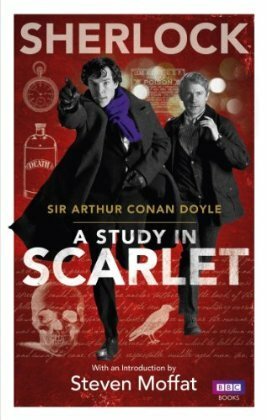 Instead of Holmes and Watson meeting during the events of A Study in Scarlet, they first encounter one another as boys at a boarding school. When his eccentric mentor dies after suffering from panic-inducing hallucinations, Holmes is on the case. This movies is good fun. The characters are fairly true in spirit. Holmes is overbearing, pompous, and a know-it-all, which is pretty much required. Watson is a bit on the bumbling side, but is the grounding factor in Holmes’ life. The movie is a full-on 1980s Spielberg adventure. Young, daring heroes smartly solve problems amid a movie filled with eye candy. Young Sherlock Holmes features the first fully computer generated character: a stained glass knight that features prominently in one of the hallucinations. The effects hold up pretty well considering that the movie is nearly 30 years old! Why watch it/read it today? Right now is a great time to dip into the Holmes mythos. Two of the three current franchises would seem to owe a debt to Young Sherlock Holmes. Benedict Cumberbatch’s Sherlock could be an on older, slightly more severe version of Nicholas Rowe’s wavy-haired Holmes, and Guy Ritchie’s action-filled movies could be direct sequels. Well, after Watson gives up custard tarts. (CBS’s Elementary is the exception, and still good TV.) 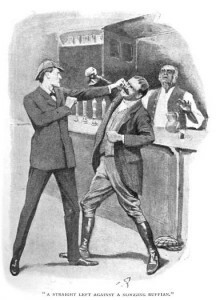 Doyle created an enduring character with Holmes and popularized mysteries solved through ratiocination. The stories are still entertaining, quick reads. This book was provided to me by Soho Teen via NetGalley in exchange for an honest review. I decided to read this despite it being YA because the premise sounded fairly interesting. I want to read more mysteries and thrillers, and this seemed to fit an interesting niche. Mitchard avoids some of the things that particularly annoy me about YA. The “does he/doesn’t he” love story is pretty much “he does” and the passages about fashion are minimal. As a teen with xeroderma pigmentosum, Allie’s musings about the her future (according to Wikipedia: “Fewer than 40% of individuals with the disease survive beyond the age of 20. Some XP victims with less severe cases do manage to live well into their 40s.”) are much less maudlin than many other teen heroines’ might be. Additionally, Mitchard has a nice way with prose. The writing is crisp and clear and sprinkled with enough slang and new grammar to make the characters sound young, but smart. The passages about XP and Parkour slowed the plot down, but were interesting none-the-less. Not needed was the recounting of Allie’s research into serial killers. I can see where her interest in forensics sets up future books, but it felt a little tacked on. What We Saw At Night also included a somewhat muddled meditation on abusive relationships. Interestingly, I read the Sherlock Holmes story “The Illustrious Client” this past week which also includes a charismatic man with a collection of women. Finally, I would not have read What We Saw At Night if I had known it was the first in a series. I’m not interested in involving myself with series, especially ones that have little stand-alone qualities. The ending is extremely open-ended and unsatisfying. An interesting question for me as a writer is why some books in a series are satisfying on their own and why some are not. 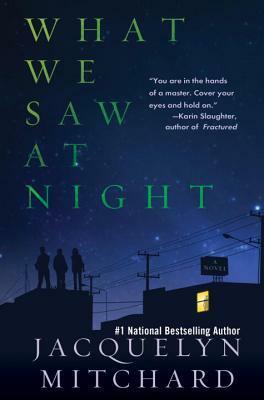 What We Saw At Night is set for publication on January 8, 2013. Why did I choose to read this book? The blurb sounded interesting. Did I finish this book? (If not, why?) Finished it. Craft Lessons: (or rather craft questions) What is an acceptable (to me) flow of information in mysteries? Are there rules? Also, what make a book in a series satisfying on its own? 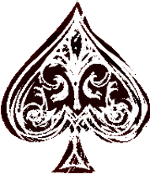 Format: Kindle ARC – Not terribly well formatted. On Monday or Tuesday of last week, I ended up Googling some combination of Sherlock Holmes, steampunk, and Christmas. What I ended up with was Steampunk Scholar’s 2011 entry about the combination of these things, or lack thereof. Which reminded me of what I had forgotten: there already is a Sherlock Holmes Christmas story, “The Adventure of the Blue Carbuncle.” I did chase down the pieces mentioned in the article. The radio show “The Night Before Christmas” is pretty awful. Don’t believe me? It’s fairly readily available online. The two television versions of The Blue Carbuncle can also be found through a YouTube search. It’s interesting comparing the Peter Cushing/Jeremy Brett versions of this story with the text. The Cushing version especially adds a few things to pad out the story (a scene between Holmes and the Countess, and a more dramatic reaction by Ryder to his incarceration) as well as adding a few details that Holmes gets wrong. Turning again to non-Doyle stories, George and Gertrude Fass wrote “The Case of the Christmas Pudding” for the mid-50s Holmes series staring Ronald Howard. 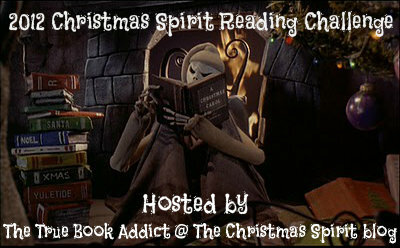 It is far superior to “The Night Before Christmas” radio episode, and involves a crime committed with a Christmas decoration. Of course, the most Christmasy portion of these stories involves food: Christmas goose and Christmas or plum pudding. I’ve never had either of these things. Growing up, our Christmas tradition food was meat salad sandwiches (egg salad with the addition of bologna). The animated series Sherlock Homes in the 22nd Century updates the tale to avoid food altogether. Here, a carbuncle is the much sought-after Christmas toy. It’s a surprisingly enjoyable adaptation. Besides, it is the season of forgiveness. Chance has put in our way a most singular and whimsical problem, and its solution is its own reward. It’s one of Doyle’s earlier Holmes stories and is pretty solid. It is shopping season. We know because they cover their hands in cloth, and the sky falls white and fluffy around their feet. As a complete coincidence this may be a story that fits the category of steampunk Christmas. It’s an unsettling tale and weirdly the flip side of Sherlock Holmes in the 22nd Century‘s blue carbuncle episode. The purpose of R.eaders I.mbibing P.eril VII is to enjoy books and movies/television that could be classified (by you) as: Mystery. Suspense. Thriller. Dark Fantasy. Gothic. Horror. Supernatural. Or anything sufficiently moody that shares a kinship with the above. I’m going to post my R.I.P. progress on Tuesdays during September and October and link them to the review site if they contain reviews of short stories, TV shows, or movies. Books will get their own posts. “The Case of Death and Honey” by Neil Gaiman, from the anthology A Study in Sherlock, edited by Laurie R. King & Leslie S. Klinger. It’s a gem of story covering Holmes’ time in the Far East and his sudden interest, in retirement, in bee keeping. With, of course, an oblique twist. 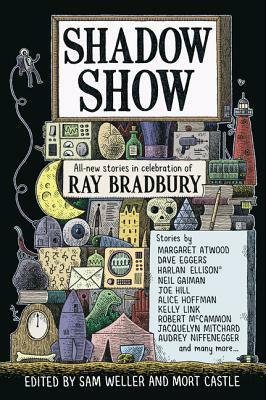 “The Companions” by David Morrell, from the anthology Shadow Show: All New Stories in Celebration of Ray Bradbury, edited by Sam Weller and Mort Castle. This story seemed flat to me, the first to disappoint in this anthology. It is a take on guardian spirits, but the set up was too long and detailed. In comparison, the payoff was barely a page or two. I was expecting a turn that would take the story into the realm of unsettling, which seemed warranted, but it never happened. The Girl with the Dragon Tattoo (2011) – If I could take the best bits of the US version and the Swedish version of this movie, it might rank in my top 20 movies. As is, I think I prefer the US version. Especially if I turn it off 20 minutes before the end. Dexter, Season 5 – Yeah, I’m behind. I don’t have cable and we haven’t had Netflix DVD service in a while. Season 5 seemed short to me. And it’s not that it lacked plot, but it felt sort of anticlimactic. Or rather, not very perilous. (Yes, I am going to over-use the word peril in the next two months.) It never felt like wacky ol’ Dexter was in a really tight spot that he could get out of. I was pleased with the guest cast, but **spoiler** [sorry to see them go]. Steven Moffat has teased the three word for series 3 of Sherlock. They are rat, wedding, and bow. Of course, with the premiere a year away, speculation abounds. What canon stories could these words allude to? Which tales will be liberally adapted? Both “The Adventure of the Noble Bachelor” and “The Adventure of the Solitary Cyclist” have been bandied around for “wedding,” but don’t I think either are likely aside from maybe an allusions-in-passing. Regarding “Noble Bachelor”: I forget how crisp and untagged Doyle’s dialogue sometimes is. This is one of Doyle’s one-set stories. While characters come and go from Baker Street, all the action occurs in the sitting room. Not the most exciting of Holmes stories, but probably responsible for many of my people-in-a-room-talking-and-eating scenes. In contrast, “Solitary Cyclist” takes the show on the road. Doyle is as adept at describing the countryside as he is setting a meal a Baker Street. Tor has seemingly picked this story for “wedding” if wedding doesn’t refer to Watson’s wedding. The story is fairly sensational, but doesn’t really engage Holmes/Watson (apparently a criticism that the editor of The Strand had as well). Murder Rooms is a BBC series. It is a *very* liberal dramatization of the mentorship/friendship between Arthur Conan Doyle and Dr. Joseph Bell. The first movie-length episode was listed as Dr Bell and Mr Doyle (2000) when I first rented it from Netflix. I didn’t know there were four other episodes (each 90 minutes in length and released in 2001) until recently. The series is much closer to a Sherlock Holmes pastiche than a historical drama. That’s certainly not a bad thing. Doyle, played by Robin Laing in the first movie and Charles Edwards in the further episodes, is a more intellectual Watson and Ian Richardson is more of a tough-love grandfather figure than a Holmes. In fact, Dr. Bell reminds me of THE Doctor; humorous and eccentric. I read 13% of 77 Shadow Street by Dean Koontz before setting it aside. It wasn’t creepy enough. The characters weren’t interesting enough. I thought about continuing to see if anything good was going to happen plot-wise, but honestly, that doesn’t happen often. I have too many other things to read.